The forest will soon have an abundance of food for seed eaters, but this has a major unfortunate side effect… Introduced mice will breed very quickly to take advantage of the extra food supply, followed by a boom of non-native introduced predators such as stoats to take advantage of the extra mice to eat in the forest. There will be the inevitable collapse of resources in the system, when the mice run out of beech seed, and the stoats have run out of mice, they’ll be forced to turn their attention to hunting our native birds and fauna to stave off starvation. This beech mast year is an interesting spectacle but one that will introduce a huge wave of unsustainable carrying capacity distuption with serious downstream negative effects for our native wildlife and ecosystems. Here’s a photo taken during a previous Beech Mast year when there were young wild mice everywhere in the forest – I’d literally see one every 10 metres scarrying around on the forest floor. Great article and the comparison photo of the various beeches is brilliant. Well done. Thanks for the article Rob. Are there any strategies in place to deal with the mouse problem? I’m very interested in the southern beech. I live in the Mid North Coast of NSW in Australia. I visited a Northofagus Mooreii remnant forest the other day. Do you know much about these? I’d love to collect and try to germinate some seeds, but I don’t know when they’re seeding. 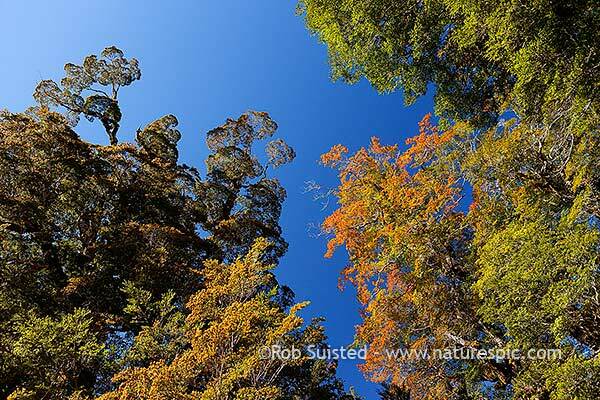 You're reading New Zealand Nothofagus beech forest no more at Nature’s Pic Images Blog.